What Is A Solar Powered Security Camera? Who Needs A Solar Powered Security Camera? Security cameras come in all shapes and sizes, but as solar charging technology becomes more cost-effective manufacturers have been able to combine the technology with security cameras to give them the ability to recharge themselves. Just as the name implies, Solar Powered Security Cameras can recharge in sunlight and store the energy in a rechargeable battery. In fact, many of the most common models of Solar Powered Security Cameras are fitted with a solar charging panel directly on the security camera. Others make use of a separate solar charging panel which must be installed and connected to the security camera. Which one is best for you depends on how much sun is in the area where it will be installed. The larger the solar panel, the faster it can charge so if there will be limited sunlight a larger solar panel may be ideal whereas in places where sunlight is abundant a more compact solar panel built into the security camera itself will work fine. Well, if you are the owner of a large property with valuable livestock, a Solar Powered Security Camera is a great choice. Even if you are a homeowner or renter in an urban setting, you can still benefit from having a self-charging security camera as long as it won’t be shrouded by trees and have access to sunlight. One example having a Solar Powered Security Camera is a great choice for is mounting on a garage. This will allow owners to keep an eye on their vehicles at all times. Many Solar Powered Security Cameras also offer real-time viewing meaning you can see the feed in real-time from your smartphone or computer. This provides an invaluable amount of peace of mind. If you have ever been the victim of a property crime, you probably found yourself wishing you had a security camera. Why put off getting one any longer? Anyone from ranch owners, to the college student who is never home, can benefit from having a set-and-forget surveillance system. They can be useful for keeping an eye on pets, your property, farm animals, valuable equipment, and just about anything else that has the potential to be stolen or vandalized. There aren’t many disadvantages to having a Solar Powered Security Camera compared to a standard security camera. The primary concern with them is whether they will receive enough sunlight to stay in a continuous recharging cycle. 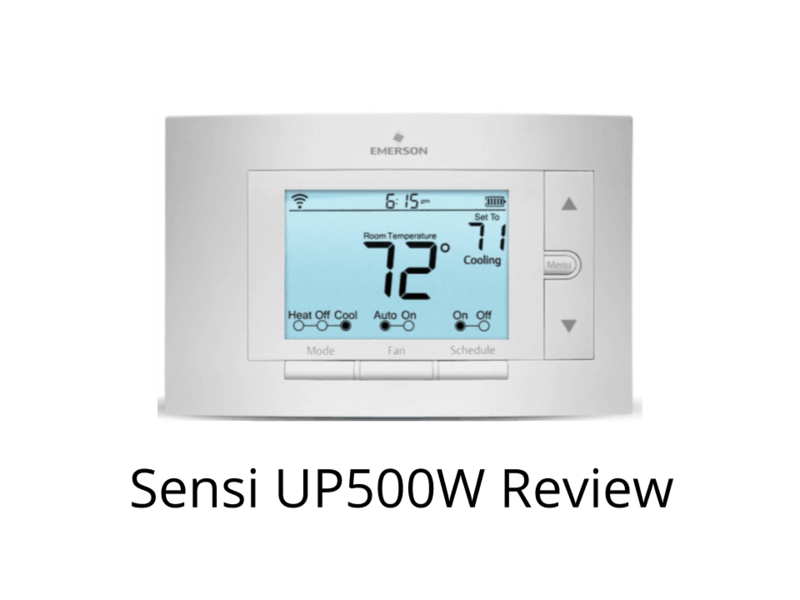 The advantages, on the other hand, are numerous and include saving power, being able to set-and-forget, and not having to run a bunch wires during installation. The most important features when it comes to purchasing your very own Solar Powered Security Camera are WiFi compatibility, removable Micro SD storage, weatherproof casing, continuous recording, and night vision. After all, it doesn’t do a lot of good to have a self-powered security camera that can record 24/7 if it can’t see in the dark. REOLINK Argus 2 is an excellent example of a Solar Powered Security Camera that offers all of these important functions. Consider these features when purchasing your first Solar Powered Security Camera and you won’t regret the investment. The Arlo Pro 2 is a very advanced wireless security system. It requires no power or signal cords at all. Instead, it uses a rechargeable battery to operate. Then wirelessly it streams footage via your wifi router to the cloud. This means that your wifi needs to be very fast, as HD footage is always being sent from the camera. I love how this little device is so inconspicuous. You would struggle to find it if you were a criminal, or a curious toddle. With the choice of two, three or more cameras you will have these very streamline black and white cameras patrolling your house simultaneously. With camera mounts included, you can attach them to almost any surface, vertical or horizontal. So from every crevice of your home you will monitor the daily activities wirelessly. And thanks to their waterproof design they will even attach to a tree or posts outdoors! So even your garden or porch can be monitored wirelessly. The Arlo Pro 2 comes with multiple features other security camera systems haven’t developed yet. One of the best is its advanced motion sensor system. The cameras can be programmed to send alerts only when a specific area has been triggered. You won’t be sent alerts every time your dog crosses the hall. Instead, only when the door is opened by an intruder, then you will be alerted via your smartphone or tablet. The Arlo Pro 2 also comes with 1080p resolution that reaches up to 300 feet. That is more than enough to monitor your home or property. And even at night you will have 25 feet of night vision footage. The only down side with this advanced technology is the fact you will need extremely fast and strong wifi for it to stay connected. But if you want this great device, it’s well worth it to upgrade your wifi router. This camera is ideal for those who want the newest and best when it comes to security technology. Though higher in price than other systems, it is well worth it. The Arlo Pro 2 also is great for outdoor use. With its high resolution and high range of sight it will be able to monitor your entire property. The extra camera options also allow anyone with a large property to watch every corner of it. The Lynx Solar Camera is the top of the range when it comes to solar paneled surveillance cameras. No need for pesky power cables running to and from your camera. Instead, you can place it anywhere with sunlight, or even without! But the solar panel makes it a great outdoor camera. One day of sun will power the battery for the next seven! So even areas with inconsistent sunlight, the solar panel Lynx system is a good choice. The battery also can be charged easily without having to setup the solar system. The Lynx system has no cables at all. That’s right, no cables at all needed! Your personal wifi router will work just fine to forward all footage to the cloud where you can watch it remotely. This small rounded black and white camera fits perfectly anywhere in your home or garden. It fits in even better on a deck or porch. The solar panels not only are beautifully mounted and designed, but they make your house look even more high tech! Both the panels and camera are small and will fit onto most walls and roofs. Really a great addition to your home in general. This system comes with multiple features that put it above the rest. With face recognition technology becoming more and more available, the Lynx system has adopted it into their security camera. You can program your friends and family into the system and be notified who exactly is at your home even when you are out. The Lynx also gives you seven days worth of free cloud storage space. You will be able to review seven days of footage at any time for free. The Lynx system is perfect for anyone who wants to monitor their home and has fast internet. It’s great for monitoring when children get home from school with the face recognition technology. Or to know when a friend has popped by. It is also great for those of us who want a very stylish looking camera that is non-intrusive. The Reolink Argus Pro is an excellent wireless security camera system. Not only do you not need connection cords, power cords are also unnecessary. The whole system works off a rechargeable battery. And if you want to place the system outdoor, a solar panel can be attached. No more holes in walls or chords draped across your home! All you need is a battery charger and a wifi router and boom! The whole system is running. The small egg shaped device is easily concealable and stream line. With a mount it can attach to horizontal or vertical surfaces. The device is a clean white and black colour to fit in with most modern homes. Even the solar panels are beautiful features. They take up very little space and have the same rounded and streamline finish as the cameras. The Reolink Argus doesn’t just have amazing solar panel and wireless technology. It also comes with a multitude of great technological advancements. Most of which are only recently being realised by other systems. High resolution footage is broadcast to you no matter where you are. This is done through your Reolink app for no extra cost. This footage is always 1080p so you won’t miss anything to bad definition. Even at night the Reolink Argus comes equipped with 36 feet of night vision. And if you don’t want to watch the footage live, the Reolink Argus can support up to 64GB of storage on an SD card. All this footage can be reviewed later. With its simple setup and high tech features, for a reasonable price, the Reolink Argus is a great choice of surveillance camera. The system is great for anyone who wants a quick and easy setup with little to no hassle. It’s also great for people with outdoor security needs. The solar panel will mean no more recharging of the batteries. However, if you don’t already have a wifi router this is not the system for you. And large scale camera setups, for businesses or compounds, will not be able to operate off the Reolink. But for most households this camera system is perfect! The Maxsa Camera and Light Combo comes in at second place for the best light & camera combo on this list for innovative use of solar power with an outdoor security camera. The Maxsa solar powered wireless outdoor video security camera comes equipped with a motion activated floodlight capable of sensing movement and capturing video up to 15 feet away in the dark. Storing video without having to be wired to a computer is also a place and it features a 16 GB micro SD card slot which can store up to 14 hours of video. There is a wire which connects the solar charging panel to the 3.7v 4.4Ah Li-Ion rechargeable battery pack and its 15 feet long. This gives you some leeway during installation if you wish to mount the video camera somewhere the sunlight won’t reach. The Maxsa Camera and Light Combo also features the ability to continuously record by recording over the earliest recorded video if it is not downloaded. The lens has a 110 Degree viewing range and the floodlight will automatically turn on when the motion sensor detects movement allowing you to capture any burglars on video. That isn’t the only use for the Maxsa Camera and Light Combo, it’s bright flood light is great for capturing images of wild game or finding out if it’s your neighbor’s dog that keeps getting into the chicken coup. All-in-all the continuous filming and solar charging ability allow the Maxsa Camera to record indefinitely and earn it the runner up spot for best light & Camera Combo. The EverSecu [3.2 |10] stands out among the other solar-powered wireless security cameras due to its compact size its uniquely small solar panel. Other security camera setups use large solar panels which can be an eyesore and difficult to install. The solar panel on the EverSecu [3.2 |10] is actually the same size as the camera itself and is mounted directly on top so it hardly takes up any more space than a camera by itself.The EverSecu [3.2 |10] is also designed for ultra-low power consumption adding length to the stand by mode and longer battery life. It uses sunlight to recharge the 2.2W 4000mAh battery with a maximum charging current of 400mA. It is also equipped with two lighting functions, white light for lighting up dark images and infrared LEDs for seeing in the dark without being detected.There are two white lights mounted above the lens, and the infrared LEDs are mounted underneath. The viewing angle of the 1.3MP 2.9″ CMOS lens is 70 degrees with a motion detection angle of 120 degrees and up to 10 meters. The EverSecu [3.2 |10] is reliable enough to function as a security camera at a business or home and it’s small size allows it to be installed in tight spaces without being too noticeable. It’s white casing also helps the camera blend in with both office and home environments where walls are white. The EverSecu [3.2 |10] has no wiring or cords making it a hassle-free setup experience and the best part is you won’t have to run those annoying cables. The Soliom S60 Camera [3.2 | 11] has a uniquely streamlined solar panel design which sets it apart from other solar powered security cameras. The Soliom S60 Camera [3.2 | 11] is a wireless IP camera that can recharge its built-in 4000mah battery without having to be plugged in using it’s two solar fins. The weatherproof design is more compact than most solar powered security cameras and the special plastic casing is rated to withstand extreme weather. The Soliom custom battery is also reliable outdoors and can stand temperatures from -4 degrees Fahrenheit to 140 degrees Fahrenheit. Another awesome feature of this camera is the wireless two-way talk function which allows vocal communication from to and from the camera using the smartphone app. The Soliom S60 is ideal for setting up overlooking a garage entrance or driveway and will recharge on its own when sunlight is present. Even at night, the Soliom S60 stores enough charge to remain operational until its next dose of sunlight. You can record directly to a MicroSD card up to 64GB which offers 24/7 continuous recording. Images taken by the Soliom S60 are clear and in full 1080p resolution shot through a refined 5 layer glass lens with a 160 degree field of view. Skip the annoying wire installation and go solar powered wireless to bring your security system up to date. Installation only requires a single screw and the compact camera will fit just about anywhere. The NexTrend is a 100% Wire-Free Solar-Powered Battery Security Camera that has one of the best designs on the market. The solar panel, infrared LEDs, and camera lens are all contained in the same housing making it more durable with less breakable parts. It also has a more powerful battery than similar solar panel batteries at 660mAh and charges about 200mAh per hour in good lighting. The NexTrend [3.3 | 13] also utilizes a built-in safety feature which will shut off solar charging once the battery is full which helps extend its lifetime. This security camera supports loop recording on a MicroSD card up to 32GB in size as well as a cloud service for backing up footage. It will immediately notify users through a message to a mobile phone whenever it records and the real-time video app supports both iPhones and Android devices. The Infrared Night Vision uses high-intensity infrared LEDs for recording up to 32 feet in complete darkness. It also contains an ICR dual filter light switch which automatically turns the image from color to black and white during night videos. The NexTrend [3.3 | 13] is extremely durable thanks to an aluminum alloy die-casting shell with a powder spraying technology that makes it wear and scratch-resistant. The wireless network is 2.4Ghz and can be set up to stream full high definition video in 1920*1080P resolution at 25 frames per second. It comes with a 30-day money back guarantee and a 1-year warranty for peace of mind. If you need technical support you can also reach out to NexTrend for free at the provided number and being able to speak to an actual person is definitely a plus when you need help. The Funxwe [3.1 | 30] looks like an accessory on a spaceship and packs an enormous amount of value into one security system. This value includes a 2.0 Megapixel camera that records in full high definition 1920*1080P resolution and boasts a 1/2.8 proprietary Starlight Sensor. The Infrared LEDs are mounted to either side of the camera itself and having their own casing allows much larger Infrared LEDs to fit. This gives the Funxwe [3.1 | 30] the ability to see an astonishing 260 feet in complete darkness, or 80 meters. The 6 mm lens also comes with a 3x digital zoom all built into an aluminum alloy metal shell. The entire setup including the solar panel is completely waterproof IP66. The Funxwe [3.1 | 30] utilizes the 2.4GHz WiFi network at 802.11b/g/n. The thin-film solar panels are large enough to quickly charge making ideal for locations where sunlight isn’t always a constant. Charging takes place on not one but two built-in 11600mAh Lithium batteries and has a lifespan of 5 years. The Funxwe [3.1 | 30] can run in standby mode for up to two full days on one charge and will store power with sunlight in temperatures as low as 33 degrees Celsius. Like other Funxwe security cameras, the Funxwe [3.1 | 30] is compatible with the Funxwe remote access software for PC as well as an accompanying smartphone app for both iPhone and Android. You can connect the Funxwe [3.1 | 30] through two methods, either through the Peer-to-Peer connect function or by WiFi router on a 2.4GHz WiFi network. With MicroSD card storage, self-charging batteries, and wireless installation, it’s hard to find a better solar powered security camera. The Freecam [2.9 | 28] is a solar-powered wireless security camera with a WiFi IP camera that records to a built-in 16GB TF Card. Its sleek design is aesthetically pleasing and unobtrusive with an installation process that is 100% wire-free. You won’t find a better combination of weatherproof solar powered functionality in a compact home security system than the Freecam [2.9 | 28]. Its compact design allows for ultra-low power consumption and long standby time. The Freecam [2.9 | 28] connects wirelessly to a 2.4GH WiFi network. This security camera has one of the longest battery life spans on a single charge at anywhere from 30 to 60 days. The camera will remain in sleep mode and connects to WiFi with a low energy connection that allows the Freecam [2.9 | 28] to operate for weeks at a time on a single solar charge. This is made possible thanks to its built-in 6400mAh rechargeable battery and motion detection software which only wakes the camera from sleep mode when motion is detected. It also features an IP55 waterproof design and can record in complete darkness with its Infrared night vision. The mounting bracket is extremely strong and is designed to effectively resist extreme weather and tampering with multiple anchor points. The Freecam [2.9 | 28] only needs up to 4 to 5 sunny days a month to continuously operate. It’s highly sensitive and the wide-angle sensor can detect motion in complete darkness up to 5 meters.